Silent Sales Machine 8.0 in full professional audio as of Feb 2015! You are here: Home / Categories / Grow Your Business / Affiliate Marketing / Silent Sales Machine 8.0 in full professional audio as of Feb 2015! please visit SilentSalesMachine.com to get the latest update! My all time best selling book, Silent Sales Machine (SilentSalesMachine.com) has undergone several major updates and re-releases over the years, but I’ve never been more proud of this book than I am right now. I can hardly believe this book has been going strong since 2002! I’ve been updating and re-releasing what is surely one of the all time (if not the all time) best selling business ebooks in the world – now in its 8th major makeover/update. Quite simply, it’s about what works NOW and what doesn’t work NOW online. It’s about where to get started and what to avoid. It’s the story of my success online and the success of thousands of others that I’ve taught, but better yet, it’s how you can join us! Yes it’s true- thousands of people have used past versions of this book to launch their online income streams. Once you’ve checked out this book would you mind doing me a favor? If you have a story of your own success that belongs in the book send it to me! I’ll include it (once verified of course). I always have room for new success stories! Visit SilentSalesMachine.com to get your copy if you’ve never bought it before. Have a question, comment feedback etc.? Please leave a comment using the comment button above! We will publish all comments that others might find useful, but if you have a private question you can leave it here as well and we’ll respond to the email address you leave us. as far as I know international shipment is in the works…the book is blowing away everyone’s expectations and will be everywhere soon. I’ll let the publisher know my NZ friends feel left out! It’s their job to make it happen as fast as possible for me! “Hmmm. I know the Kindle version is available to him (I will look into the Nook international issues). He can also buy the epdf or ePub versions from Wiley.com or the cheapest shipping option on Amazon.com and wait awhile. – Do I get the completed edited copy later when it is available ? – If I pay for the RAW copy now, am I entitle to all your future updates on “Silent Sales Machines” as well ? Great question! It’s the reason I love posting announcements like this to my blog because my creative customers always have the best insights! Good news on both questions. Yes, your purchase now qualifies you for all future upgrades/updates of the book…including the one that is coming in a couple weeks after it’s “cleaned up”. Just make sure you add your name to the opt-in list that is shown on the book download page. That is how we’ll send out notification that the book (all future updates) is ready for you. Thanks for the feedback! Glad you liked the listbuildingclass.com course! RE: capturing audio from a video – I’d try a google search with that exact phrase. I’ve seen tools that do that, and they weren’t expensive at all. P.S. Did you know that youtube can automatically add captions to any video you upload? It’s pretty cool…and the search engines will use the keywords in your video to boost your ranking as well. Thought that might interest you. you need to be on the buyers email list…we’ll be sending a blast out to that list very soon with the fully cleaned up version of SSM 7.0. I’m waiting on feedback and thoughts from the first few readers before dropping it out to past customers. The resource page link inside any old version of the book will take you to a link where you can get the new version at no cost. May 16th I down loaded your silent Sales Machine ebook. I started to read and soon after that I had to qet my computer repaired. When I went to my documents, the book had disappeared on me and there was no way I could recover it. Is there anyother way of recovering it without buying a new one. Trying to buy your book but the link below takes me to a 24.95 priced offer not $5. Please assist me in buying this at your offered $5. visit http://www.SilentSalesMachine.com to get the $5 offer. Can we be an affiliate for this $5.00 pre launch? I am currently an affiliate for the Silent Sales Machine (20 dollar range). Yes! Use the same affiliate link you’ve always used! Payout is 50% after clickbank fees. absolutely! 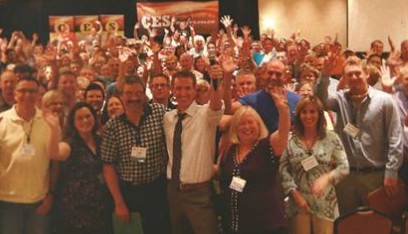 The listbuildingclass.com class is aimed at helping you grow a loyal fan base…no matter if your business is online or off. You’d also love the 101FreeMarketing.com book – it has a lot of info about email list growth for any business (online or off). I have known Jim Cockrum for many years. As far as I remember the title of the first version was something like “Silent Sales Machine Hiding on eBay”. Even though I purchased several versions of this ebook, I never had the chance to follow through due to my SOC (Shiny Object Syndrome). I spent thousands of dollars on many different internet marketing products. I wasted a lot of money and time. In the current version of SSM on page 106/107…Jim warns the readers about what not to do to avoid failure when you begin your internet marketing journey. I wish I came across to this advice sooner. I decided to give ebay and amazon another try, so I joined mysilentteam.com and got the PAC (proven amazon course). No more building pretty sites and chasing for traffic. Now it is time for me to find my target audience to build an email list using ebay and find merchandise to sell on Amazon and ebay. Thanks Jim for updating SSM with tons of useful information! Page 105 – Jim’s “Sucker List” includes affiliate marketing. But Jim is encouraging us to promote SSM through affiliate marketing (Clickbank). Overall impression of SMS: While I have a lot of respect for Jim, I can’t honestly say that this book rocked my world. If my stance on affiliate marketing seems unclear it’s because there is more than one way to approach affiliate marketing. As far as “rocking your world” goes…I’m not into flashy new formulas for online income. I teach what I know works and that’s it. Common sense rarely rocks anyone’s world. I appreciate your honest feedback though. A challenge for you or anyone else: If you care to measure ANY online “guru” next to me you won’t find ANY of them that have taught more people how to earn a legit income online. Sure – some guys are more popular, earn more money themselves, are flashier, and they may even have MORE testimonials, but getting a testimonial that says, “Wow Guru X – you are a super guy” is not the same as getting a testimonial that says, “Thanks Jim – I get to work from home and be with my kids every day thanks to you”. size, my bank account digits etc. are no measure of my success as a teacher. Machine book is all about THAT. Ignore my chapter 5 “suckers list” at your own peril! I just read through your SSM ebook and found some parts of it helpful. I thought it was very cool that you mentioned Brian because I’ve known his wife for many years! Small world! BTW, I graduated with you as I figured out with your wife on Facebook. You probably don’t remember me, though, because I was pretty quiet and moved here my junior year. I really think your newest marketing book is the book I really need to read since I’m looking for ways to build my Creative Memories business. I do have to be careful that I’m not breaking the company’s rules so I’m not sure what to do and can’t afford your new book right now. I’m also thinking about some ebooks that maybe I could write about preserving your memories/scrapbooking kind of thing. I have written my own book and published it several years ago so it would be nice to market it better as well. Your SSM book has my wheels turning, though, and since I have a four-day weekend (Fall break for the school system I work for), I’ll be rereading it again to really get the ideas flowing. Thanks, Jim! The mighty fighting Artesians!? How cool! I don’t think I came up for air during high school…worked practically full time, played on my computer and played basketball…that’s about it!! Yes, the mighty fighting Artesians! I moved here my junior year, but I worked on the yearbook and newspaper staffs so that’s how I learned to put names to faces. Otherwise, I probably wouldn’t have known you. BTW, I’m readying your new book. I found some money I could part with and buy it. I am LOVING it. You have so many ideas in there. I really have my wheels spinning now! Thanks, Jim! Hi, Jim, I wanted to share with you and world how much I am getting out of your re-release of The Silent Sales Machine…it must be in the air because your ebook came out right when I needed to know how to use eBay and Amazon for a client…every chapter has golden nuggets and reaffirms many things I thought. As you know, I am a big OfflineBiz.com fan and used your advice to create my business since May 2010. 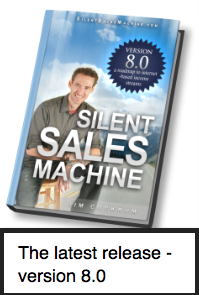 I URGE anyone who wants to create the life of their dreams to read The Silent Sales Machine. (it is $5.00) More than 100 pages of REAL CONTENT with details and even what NOT to do…if I were to only suggest one AUTHOR to read about online marketing…it’s JIM COCKRUM. Heck, even the way Jim writes the book is a big CLUE about how to use ebooks to market your business. Thanks, Jim! I really, really appreciate all you do to help me and others. I am so happy I have been fortunate to have met you in person, so when I read your work, it is like you are talking directly to me! Your reply is rather defensive, Jim – and I certainly didn’t intend to upset you. I’m not saying there aren’t some raisins among the bran flakes. But as a researcher I’ve identified the true starting point for relationship marketing (or servant leadership), and I find it interesting that so many successful people, looking back at their own history, fail to articulate where or how their own success really got rolling (and it’s not “finding out where people who are interested in X are hanging out). My success got rolling by finding where my audience was hanging out. That’s also how I’ve helped hundreds of others launch successful businesses…but that’s just a small part of one of the three business models I teach in the book. Thanks for the feedback. I recently finished reading the latest version of “Silent Sales Machine” and really wished I had been able to buy it a couple of years ago – it would have saved me many $ buying many IM products. I plan to read it again slowly, take more notes, and then take the next steps to start my internet marketing business. Really appreciate your truthfulness and guidance. It’s a book to be enjoyed slowly…take it in like advice from a trusted successful friend. A lot of people come back around after spinning their wheels for years in some cases. They run off and build websites, toy with “driving traffic” and “affiliate marketing” only to find out that the only people actually making any money on those arenas are the “gurus” selling shiny junk to chumps. Just finished reading the SSM latest version. I¿ve been online for a while and still found great advice there. I market in Spanish language and I’m not in the US, so I’m still considering a way to make ebay and Amazon work for me (would love to see some of your ideas for people marketing in other languages/countries). Anyway, got other great advice. The easy video making tool you share (I didn’t know it was that easy to create videos) was worth the US$5, as Youtube works great in Spanish. Also found good advice for my offline biz that I recently started. That said: thanks for the deal! Hi Jim. I originally purchased The Silent Sales Machine a few years ago. It was the best investment I made in starting my online business. The updates have been great in addressing all the latest changes and trends. The fact that all the updates have been free is amazing. I look forward to fully exploring all the new ideas in the newest version. Thanks. I have just started the Book and read really slow, but I my 1st comment is that I trust in Jim’s Integrity and don’t have a clue how or where to start a On or OFF line business without a good step by step mentor, but since I am in over $100 K in student loan debt and have gotten to the point of not being able to pay most off my bills due the the amount the gov is requiring me to pay each month – I sure could use free access to which ever of the two you Jim think would help me get up and running ASAP before things get worse. Love the quote on page 106 Jim…truer words were never spoken. A great book — you’re one of the few colleagues that tell it like it is. One suggestion — I might pull the appropriate content from your blog posts in some areas of your book (like between pages 111 – 120) right into the book itself instead of linking. I understand the premise behind linking from the book to get readers back to your blog though. Read the two free chapters then Bought the whole thing! I’m honored. I know $5 isn’t much for many people, but ANY investment is a vote of confidence. I’ll eagerly await your feedback. I don’t expect it to be for everyone. If you’ve been paying close attention to the stuff I’ve been teaching for a long time, or if you are already earning money from multiple income streams it might not be for you. Thanks for posting anyway! I loved the book but still have no notion of what to sell on ebay. I know the basics of setting up auctions, etc, but really need some good ideas of drop shipping or something. Then I can use the book. Would like to join the membership site, but $60 plus $20 is out of my range. Things are really tight. Someday. Thanks for a great book, though! -run ads stating “I’ll sell your stuff for you on eBay”. Don’t accept junk, earn 30% or $30 minimum for your time each time. -tell family and friends that you’ll turn their old “stuff” into cash on eBay. Get your feet wet and get paid to learn. -Monitor the close out aisles at retail stores for great deals, and then make a deal with the manager to buy the whole lot for a discount. Doing ONLY that strategy is a full time living. Remember to research EVERYTHING before you buy it. Closed auctions on eBay, or current prices on amazon. My books, blog and other resources can give you dozens more ideas that require little or no cash to get started. I can’t believe I bought this book in 2005! Thanks for the updated information! Congrats on V7, and thank you for sending it to us. Super glad to see our example – Liberty Jane Clothing – made it into this edition. Our stats are crazy different now… 11,500 FB Fans, 9,000 Newsletter Subscribers and over 90,000 pdf guidebooks downloaded off our site now. Couldn’t have done it without this book… much appreciated. As a next step I’m taking your Fulfillment By Amazon section to heart and have decided to add that strategy to our business. I’ll keep you posted on how it goes. I think it might really take us to the next level. Your success inspires us all! Thanks for the update! I think I’ll use it in a newsletter! It’s about far more than eBay/Amazon. I reveal several other ways I earn money online as well as the typical dead ends that most people are pursuing online. It’s an “internet marketing encyclopedia” of knowledge from my 10 years of success online. I know you’ll like it. just finished reading SSM… I thought, ‘why not..? $5, I can afford that!’ it was an excellent book, and worth so much more than $5!! It opened my eyes to many new ideas. I was definitely in the camp of starting my own beautiful website, and attempting to ‘drive traffic’ to it. Why would you – it’s like building a shop 10 miles from the main shopping mall!? There were many other fabulous ideas too, and I feel like I’ve made a wise choice, and I hope a new beginning. I have a burning passion to build my own company online, and create a successful system that will generate cash for me, like you have done, ‘while I sleep.’ I have a fantastic food product I have developed and want to sell online, and I hope you and your team can help me develop a marketing system to sell it. When you talk about $100k a year businesses, my heart yearns for those kinds of returns – and when you say you will refund anyone you can’t help, well, that means a lot to me. I’ve been through a couple of ‘get rich’ courses – and guess what? I’m not rich yet. I almost signed up recently to a $5,000 course with 2 ‘internet gurus’ – promising 6 figure returns. Then I read SSM. Great advice Jim.I BOUGHT so many shiny objects over the years and not made a blind cent. I know in my gut that money can be made on the internet,but i have NO TALENT,NO SKILLS,and don`t know how to start. My wife keeps complaining when i wasted our hard earned…on these shiny things. I have lost my dignity and my wife faith in me …How can prove her wrong and restore my dignity.? I bought the book in 2005 myself and want to know if it is still useful and should I save it (I printed it out) or get rid of it and get the new 2012 version here? I thought the 2005 version came with updates included? No, I’m not oposed to paying $5.00 for the new update, I’m just wondering. The information from Jim and a handful of others is worth purchasing always. The new version has all current info in it, where the 2005 version is still good, but may have some outdated info. The new version (V 7) is also very expanded with new info as well. I spent $10K on eBay inventory last month and will turn it into $20-$30K over the next couple of months. USE eBay…but don’t RELY on eBay. That’s my motto. As long as there are customers there spending money I plan to make money there. eBay’s “vendetta” as you call it is just another obstacle to overcome, but we are doing great in spite of it all. I can only cram so much into a book, but we go much deeper into specific detail at MySilentTeam.com, OfflineBiz.com or my coaching program if you want individual attention. Wow – THanks Bob! Great feedback! Thanks Jacqueline. GREAT plan you have there! you should not do just make it simple in the beginning. this book a must read for your students it should be. I believe the 2 free chapters of Jim’s book are compelling. After reading them, I did purchase the complete book. I have been looking for several years for a way to make a living via the internet. I am looking forward to reading the complete book. Thank you Jim and God Bless. I hope you get many great ideas from the book. If you have any questions please let me know. Bought the book a couple of days ago and found the information interesting enough to keep reviewing your business mode. I was disappointed to get an unexpected call from a member of your coaching staff instead of you. I spent my money with you and not somebody trying to hard sell me. I am randomly calling many readers myself to get feedback, but I also do have a couple of other folks calling as well. If you have anything other than a positive experience with them please let me know, but there’s no “hard selling” of anything from us. My team is under strict instructions to leave every person they meet better than they found them, and never do we require a phone number, or pressure anyone to do anything. We inform, educate, and work with people that are positioned for success. Thanks for leaving your feedback! Let me know if you have any other observations or questions. Downloaded the first 2 chapters and have now bought the whole book. Have only found time to skim through it so far but hopefuuly will get some proper time this coming week as I’m travelling a bit. I have used my own web site, ebay, amazon, discogs and gemm to sell records, CD’s and vintage postcards over the past few years with mixed success. I have dabbled in adsence and amazon associates, with consistent but low revenue. What I’ve read in the book so far has given me some new pointers which I’m keen to try out. Also…where can I buy the report you did about how to sell concert tickets on Ebay? 1] An Ebay course that you’ve developed or highly recommend? 2] The report about how to sell concert tickets on Ebay? I recently got your book for the first time, whish I had got much soon as what you say in it is so ture, I have been one of those people that has wasted a lot of money buying into other programes to find that I am still nowhere to getting online. You have had a prductive 10 years making money I have had a frusting 10years trying & whishing to get online. I am so please I got your book took it on holiday with me still reading though But will start again & take some notes & follow up your links. Thank you for been honest & relistic with the public who buy your stuff. Just wish other companys where more honest & relistic in how to get online & be productive in our efrorts. I’m quite proud of the 101FreeMarketing.com book. There are so many creative ideas in there that I’ve collected for years. Great to hear you are plowing forward with your plans! Let us know how it turns out! I agree with what others have said about it being a lot different than any other previous version. I was a little confused about the jv with ebay powersellers section being removed. You do mention in other sections of the book about partnering with others. So I was curious about whether you still think this is a good idea. Lucky for me I still have older versions of the book on my computer, so I guess I can review that section of the older version to re-evaluate that idea. However, the new version does a great job in condensing the ideas that work into a nice overview. My favorite part was chapter 3, I reread that one a few times. I really enjoyed the link to the interview with John Jonas on outsourcing. I don’t know how I missed this before from your blog. His advice about “implementing what you know” was a aha moment for me. So I’ve taken some steps to put outsourcing to work for me. I also got a lot of other ideas from other sections of SSM. I would highly recommend that anyone wanting to make some extra money to get a copy of SSM or at least read thru Jim’s blog. 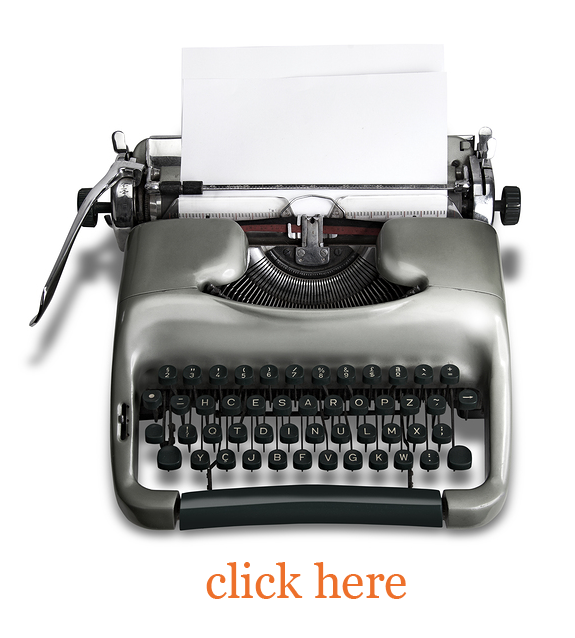 There is A LOT of ideas freely available right here on this blog. The next step would be to take ACTION and IMPLEMENT those ideas. Now I’m off to practice what I preach and put some of those ideas into action. I’ll keep you posted about my results. Thanks Jim for all you give, keep it coming! I’m not against partnering with other eBay powersellers in creative ways, but the fact is, eBay is VERY picky and unpredictable, and without a stable foundation to build on I get nervous about establishing partnerships based on the continued success of any given eBay ID. sometime I respect you and feel you’re a trustworthly person..What you teach makes sense. a copy in 2008 and was inspired by it back then, however, life got in the way. was devalued and we had to return to the UK. through your site he got your commissions. and a blog made by myself, another of your not to do things. forums to catch up with what you have to say. Sorry about how my other post looks hope this one is better looked ok when I loaded could we have a preview button to avoid the problem. we agree it is the most important tool for us to learn how to use. that we need to know about what Aweber can do to help our business grow. In what format(s) is the ebook available? The sample I got was PDF, which doesn’t really work properly as an ebook. ePub is what should be used, that is the most popular/compatible, or mobi (Amazon) is a close second. Try reading a PDF on a smartphone or mid-size tablet and you’ll see what I mean. I want any ebook I have to work on any device I own, not just on a computer. interesting! Thanks for the feedback – we’ll look into it! I’ve never heard that before. I have been on the internet for a few years and have never read anything that smacks of honesty and sincerity. So much so that I am now a follower of Jim.